Are you or a loved one facing criminal charges in Burbank, California? You need the experienced and trusted attorney to personally provide guidance, answers, as well as solutions. You need Burbank Criminal Defense Attorney George Kita. Mr. Kita has been in private practice for more than 27 years, helping hundreds of clients, emphasizing innovative approaches for serious felonies and misdemeanors, as well as 1st-Time Offenders. Mr. Kita focuses on select clients likely to benefit from his personal & tailored representation. He is highly regarded in the Burbank legal community, and works tirelessly for his clients and their families. Your case is important and you deserve the most effective representation available. Find out your options and see if your case may be suitable for an alternative program. Call Mr. Kita, now, at 818-536-3630! George Kita has developed his criminal law expertise over a 27 year period, incorporating the latest legal updates into his strategies. He believes that clients should be provided a complete overview of their legal options to make informed decisions. He has substantial experience in a wide range of Burbank criminal cases, including, airport and tourist/vacation arrests, DUI & alcohol cases, theft, weapon, drug, hit & run, warrants, and probation violations. You can learn strategies at: Burbank Shoplifting Attorney. Mr. Kita's solutions generally include contacting the prosecutor's office promptly about available alternatives. He understands specific criteria evaluated for City Attorney Diversion, and he works tirelessly directing cases away from convictions, whenever possible. There are many immediate concerns which need to be addressed with a criminal case or arrest in Burbank. Maybe, you have a loved one in Burbank Jail, and need to understand release options. Perhaps, you want to explore possible alternatives which could minimize arrest consequences. It can all feel overwhelming without representation. So, don't handle things yourself. Get help, now! Call Burbank Criminal Defense Lawyer George Kita - 818-536-3630! 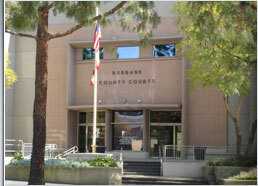 For youthful offense cases (when accused person is under 18 years old) please visit: Burbank Juvenile Lawyer. *All results depend on unique circumstances of each case.